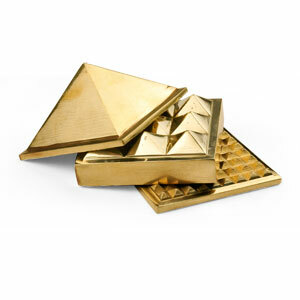 Introduction: Shree Yantra is regarded as an identical form of Goddess Laxmi. 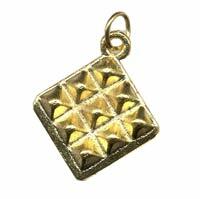 This shree yantra has been prepared in Ashtadhatu (8 metals). 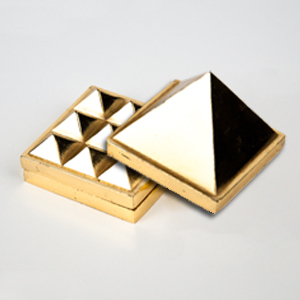 The Shree Yantra of 8 metals represents 8 laxmis. 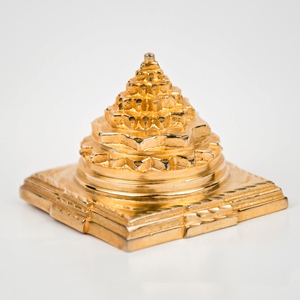 Those persons who are desirous of having wealth should establish this shree yantra at their home. Method of Use: It can be established on Friday in the morning at worship place of home by bathing it by panchamrit or unboiled milk on a red cloth. Recite before it daily: Om Shreem Hreem Shreem Mahalakshmye Namah-108 times.